There are four categories of assault outlined in Washington State law, and each is ranked by its severity. If you're charged with assault, a conviction will lead to severe penalties that could affect all aspects of your life. The Redmond assault lawyers at the Law Office of Jason S. Newcombe understand that minimizing the penalties associated with an assault crime is the reason you retain an attorney. You also want to avoid incarceration and acquiring a criminal record. If you or someone in your family is facing an assault charge in Washington State, contact an experienced Redmond assault attorney and find out how we can work together in an effort to protect your future and your freedom. The following information about assault may prove useful as you contemplate how to proceed. First Degree Assault is a Class A felony. It's defined as an assault using a deadly weapon, like a gun or knife, with intent to cause bodily harm or death. If the intention is carried out, this charge could accompany other serious charges like manslaughter or murder. 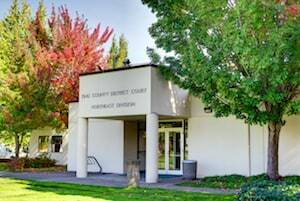 A conviction for this crime can result in a lifelong prison sentence, so if you've been charged with first degree assault, contact our Redmond assault lawyers without hesitation. Second Degree Assault is A Class B felony. It is defined by law as an intentional assault that causes substantial bodily harm to another person. In cases where an assault includes the use of a deadly weapon while attempting to commit some other felony, this charge will be levied. If a fetus is harmed during an assault on a pregnant woman, or when strangulation is involved during an assault, this charge also applies. A conviction for this serious crime could lead to 10 years in prison and fines of up to $20,000. Third Degree Assault is a Class C felony, and is charged to individuals that cause bodily harm to another person through negligent use of a deadly weapon during an assault. It also applies to cases where an assault is committed against a nurse, doctor, or a law enforcement officer. A conviction for this crime incurs mandatory punishments that include fines of up to $10,000 and five years in prison. Fourth Degree Assault is a gross misdemeanor in Washington State. It is still considered a serious crime, and is charged in relatively minor assault situations that may include violence like punching or kicking. 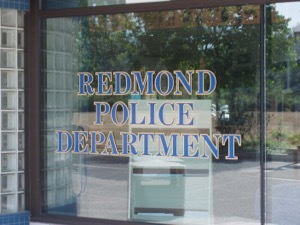 A conviction for fourth degree assault could result in fines totaling $5,000 and up to a year in the Redmond jail. Domestic violence situations are often the reason why someone is charged with assault, and sometimes these charges are fabricated. If you've been falsely accused of an assault during a domestic violence situation, you need to talk to one of our Redmond assault attorneys without delay. Developing your legal defense will take time, because your attorney needs to conduct their own investigation of the facts. 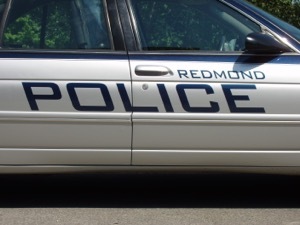 Our Redmond assault lawyers understand that the law says a person can legally use force when defending themselves against another person, so we will need to speak with you about the details surrounding your arrest. Call now for your free consultation and get help from attorneys who care about how your case is resolved.